Montreal of 1914 was a booming city. Its large manufacturing sector made it a destination of choice for a growing number of Eastern European immigrants whose arrival increased the city’s Jewish population to almost 40,000. Making their home along the Main (Boulevard St. Laurent) they brought with them different languages, political ideologies, and religious practices. 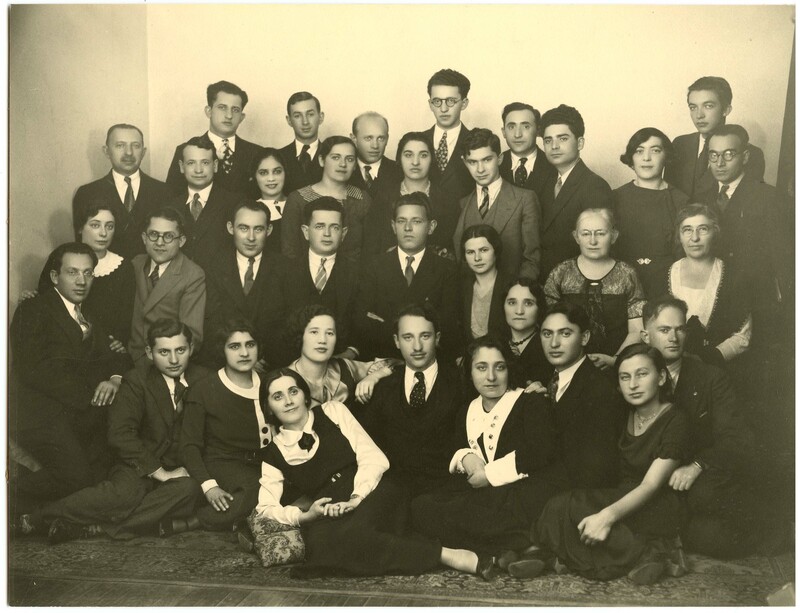 Recognizing the need for their own social institutions, they established a public library to cherish the Yiddish language and culture that lay at the heart of this community. From its beginnings and into the 21st century, the Jewish Public Library (JPL) has continued to offer a familiar space that nourishes the intellectual, creative, and spiritual needs of the community. The JPL opened its doors on May 1st, 1914 in a modest cold-water flat at 669 rue St. Urbain with a small collection of 500 books. But from the beginning the Library was more than mere shelves and texts. It quickly became the meeting place for literary and cultural exchange, maintaining a link to the still flourishing Jewish communities of Eastern Europe while promoting the community’s growth in its new Quebec home. With the creation of the Jewish People’s University the Library also became a centre for continuing education. The Library developed out of the reading rooms of several community organizations including the Poale Zion, Baron de Hirsch Institute, and various synagogues. Yehuda Kaufman and Reuben Brainin, two well-known leaders in the community, led the charge to bring together these organizations into one public Library. These two men were joined by a legion of volunteers and groups devoted to the idea of a space for community members to better themselves through literature and learning. The cooperation of these groups, despite differences in language, politics, and religious beliefs, ensured the success of a library that was for the people and by the people. Over its hundred year history, the JPL continued to respond to the needs of immigrant groups through its collections, programmes, and services. In the 1960s the JPL welcomed thousands of Jewish immigrants from North Africa with services in French. Later waves of immigrants from Russia, France, Israel, Ethiopia, and South America were equally welcomed into the JPL. Our public is just as diverse today as in 1914. For 100 years the Library was witness to thousands of stories of the Canadian Jewish community. This exhibit celebrates a century of these stories and the JPL’s bright future.